Give your 2007-09 Porsche 997 GT3 or GT3RS a superb Dual-Tone Sports Car sound, offering a throaty, deep tone at idle and mid-range but roars at high RPM. This Center Mini Exhaust System will give your 997 GT3 a gain of +11whp and +8wtq while also providing a 5lb weight reduction. Give your 2007-09 Porsche 997 GT3 or GT3RS a superb Dual-Tone Sports Car sound, offering a throaty, deep tone at idle and mid-range but roars at high RPM. This Center Mini Exhaust System will give your 997 GT3 a gain of +11whp and +8wtq while also providing a 5lb weight reduction. 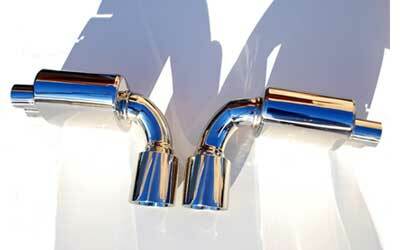 The Maxflo 997 GT3 exhaust is CNC mandrel bent and manufactured utilizing high quality T304 stainless steel, then polished to a mirror finish to show off this masterpiece of engineering artwork. The stock exhaust from Porsche for your GT3 is pretty good from the factory, engineered to the highest standards of quality for superior horsepower and exhaust gas flow. 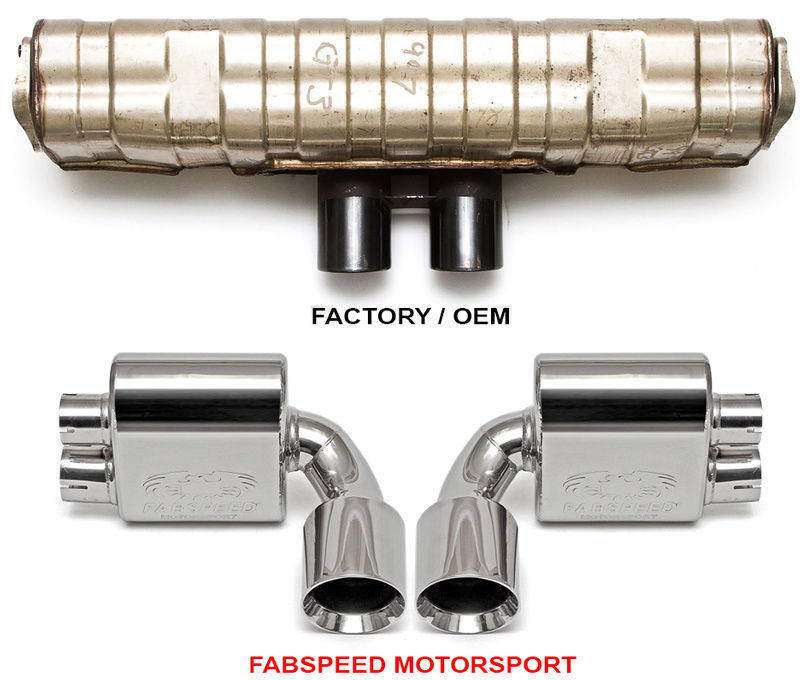 Fabspeed is able to take it a step further with Fabspeed Maxflo exhaust system. Not only will you get an increase in horsepower and torque but you will also give your 997 Porsche GT3 a sound that will make people's heads turn from the second it turns on, all the way till your GT3 roars past them. Porsche Factory warranty Compliant. Fits all cars worldwide. 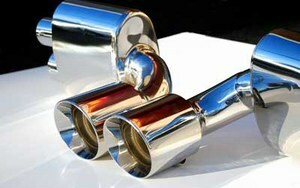 Strongest and finest high performance exhaust system available for all 997 GT3 / GT3RS cars worldwide. 14 - 16 gauge T304SS-- much stronger than all competitors' systems- Better quality then any tuners and guaranteed finest quality available. 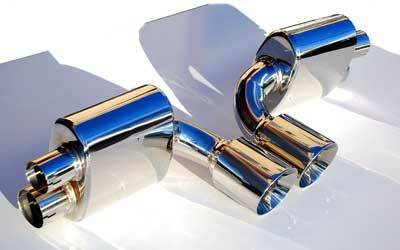 Superb sports car dual tone sound, throaty and deep at idle and medium speeds. It's docile enough for the wife/girlfriend, but strong dramatic sports car sound when you floor it and go up through the gears!